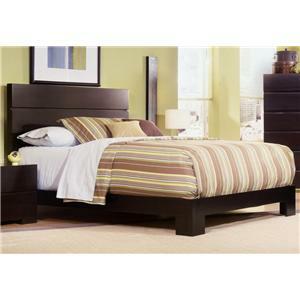 This sleek and contemporary bed option is a smart choice for your bedroom. The unique low profile design allows for an open and spacious feel while the thick block corners and slatted headboard complete the hip and functional bed design. Pair it with the coordinating dresser and nightstand to complete the look in your home. This lovely contemporary mirror will create a stunning presence in your bedroom décor. 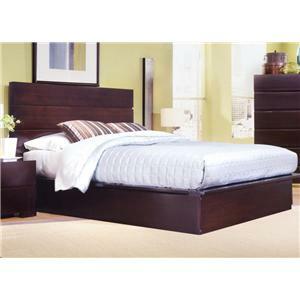 It features a clean sleek design and a wide landscape shape that will add definition and character to your stylish room. 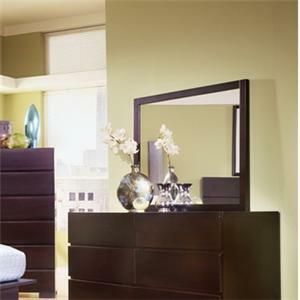 Combine this mirror with the dresser from this collection for a fantastic and functional combo. Creating the ultimate sanctuary in your bedroom has never been so easy! This queen poster bed brings a calm contemporary allure to any décor. Slick straight lines and a floating top enhances the luxurious feel of this majestic piece. The bed has been bathed in an intimate mocha finish for a charming final touch. Add style and function to your bedroom with this vertical mirror. The mirror will add a dramatic accent to your bedroom with its sleek straight frame and exquisite reflective glass. Pair with the matching mocha dresser for the complete set. Mirror supports included. This six drawer dresser and mirror combo is a functional combo with a sleek and intelligent contemporary design. 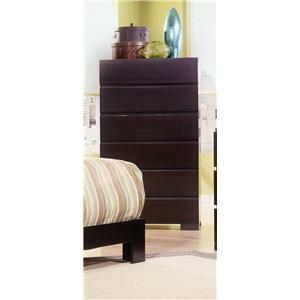 Six sizable drawers provide space for all of your clothing and accessories. The wide shape of the landscape mirror on top will add definition and elegance to any room style. 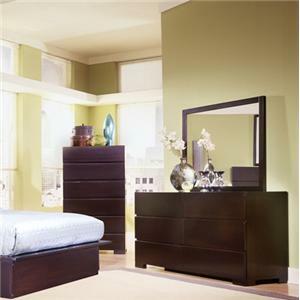 Furnish your bedroom with this delightful dresser and mirror combo. 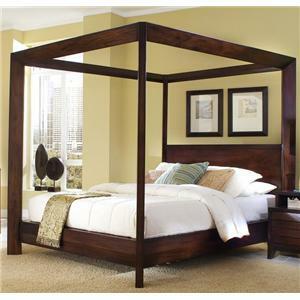 This bed is an intelligent and beautiful designed option for your bedroom with a myriad of smart aspects for your home. A horizontal slotted backboard with storage drawers beneath the bed, make it a functional addition to small spaces, or just to provide that extra bit of storage in your bedroom. A warm Walnut finish completes the look. 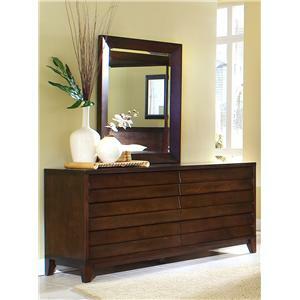 Functional and stylish, this dresser and mirror combo would be the perfect addition to your master bedroom. The dresser features a unique and stately window-blind design pattern. Included are six spacious storage drawers for clothing items. The mirror on top will add a dramatic accent to your bedroom with its sleek straight frame and exquisite reflective glass. Get ready for work in the morning using this bold dresser and mirror combo. This lovely six drawer chest will be fantastic addition to your modern bedroom. 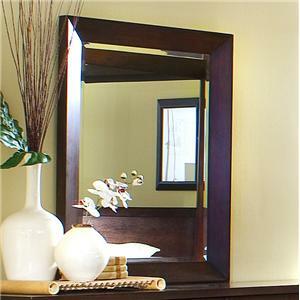 It features sleek clean lines and a rich walnut finish. The chest's six storage drawers offer plenty of space for clothing and the top of the chest is great for decorative pieces.Create a magnificent modern atmosphere in your bedroom with this brilliant high chest. 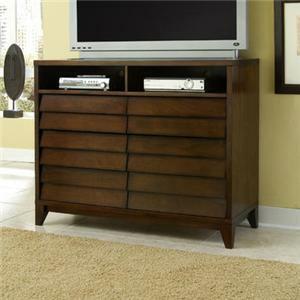 Update your bedroom décor with this contemporary and sophisticated entertainment console. It features a "window-blind" design pattern that will look impressive and bold in your master bedroom. Utilize the spacious top for a television screen or as a display surface for decorative pieces. Two open compartments are includes with this piece, which can easily fit video game systems and blu-ray players. Store clothing items in the six spacious drawers below.